skype 5.5 is out of beta stage now, final version is available for download. Latest Skype brings deeper Facebook integration along with many new features. You can now see what’s happening in Facebook without leaving Skype. 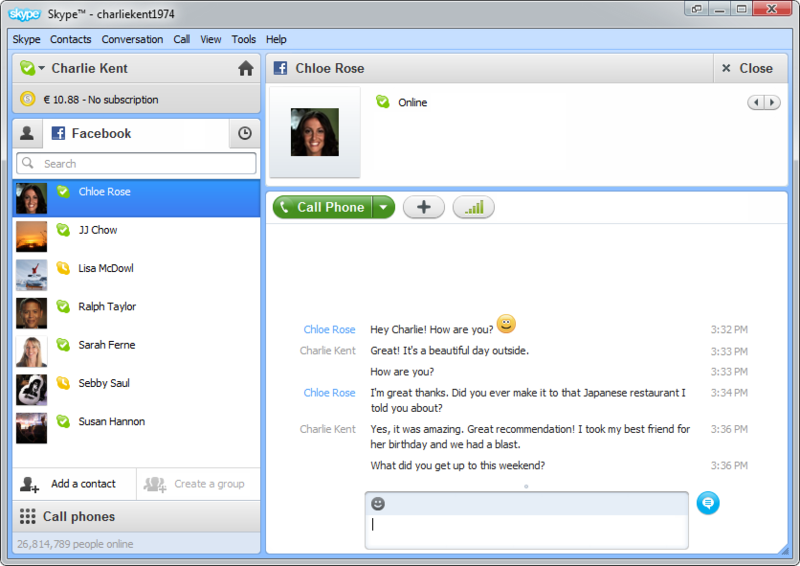 You can send instant message to your online friends, see your wall, like, make comments and post directly from Skype 5.5. Updating Facebook status message is also now possible thanks to this deeper Facebook integration. These were Facebook related features, now these are some improvements in video and group video calls also. Skype version 5.5 for Windows brings improved reliably in video and group video calls. Last but not the least there is an update in Skype animated emoticons which are now smoother and there are some new emoticons are also there. So it will make chatting experience more enjoyable. Currently skype 5.5 is only available for Windows users.